We’ve all been a newborn baby at a certain point in our lives and most of us know that newborns are not exactly what one would consider cute. 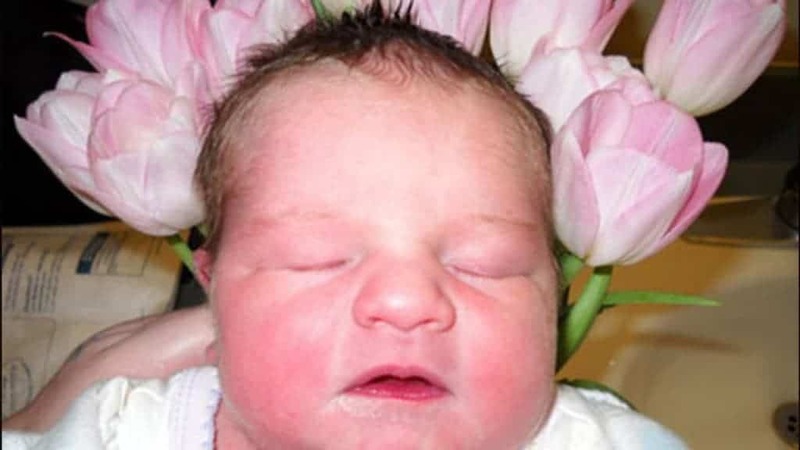 With heads bigger than their bodies and at times shaped differently than what we’d expect, because of their long journey into the world, newborns are a mix of adorable and creepy that just can’t be explained with words. 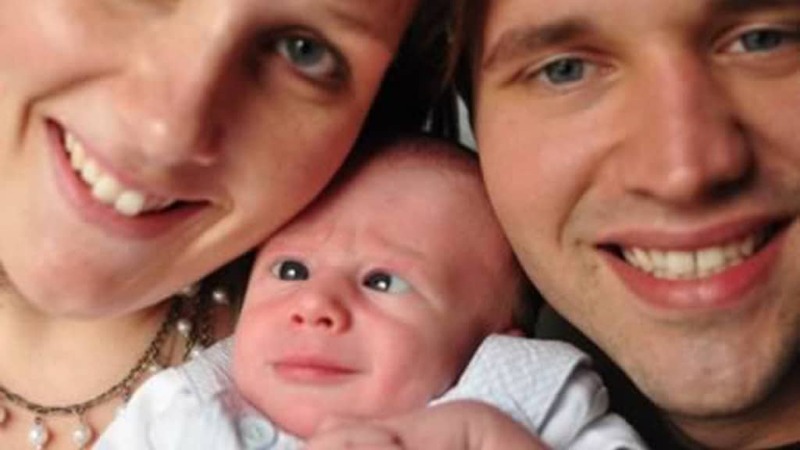 While there are a ton of photos shared online, we’ve decided to pick the ones that truly creep us out and make us question the decision of the parents to actually share said photos. 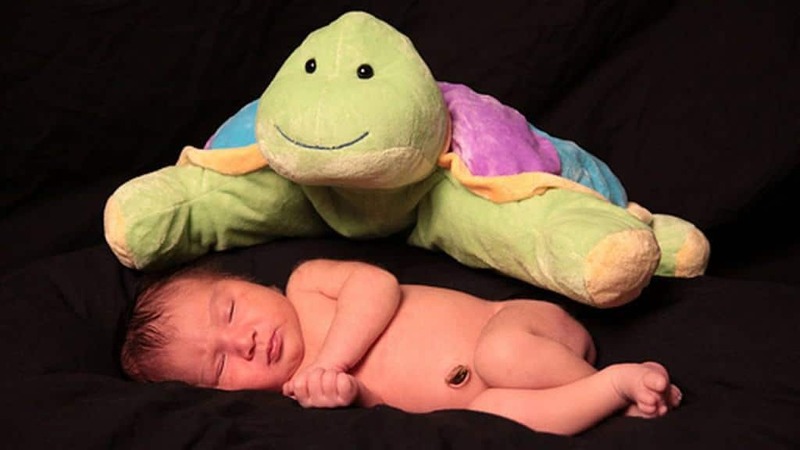 Without further adieu, here are the 18 most weird newborn photos on the internet, that will, if not creep you out, make you laugh your heart out. 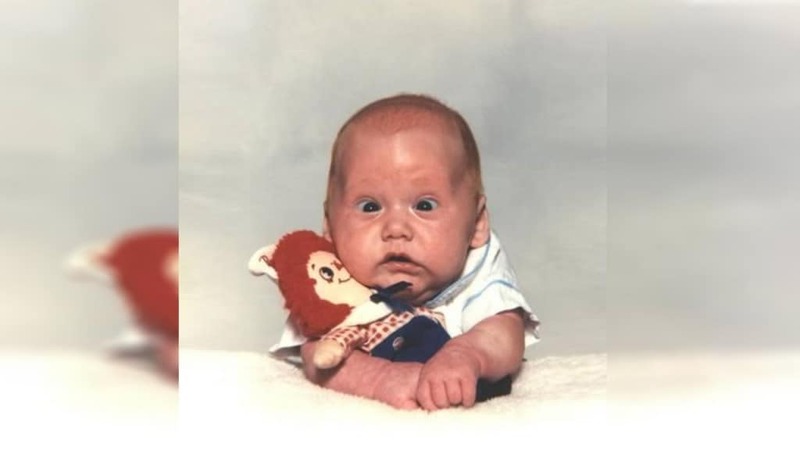 By looking at the terrified look of this newborn, we just can’t help but wonder what did the doll said to him. Something scary? Something frightening? We’ve all been in a situation, when you just have to squeeze together with your friends just to be able to fit in the frame. 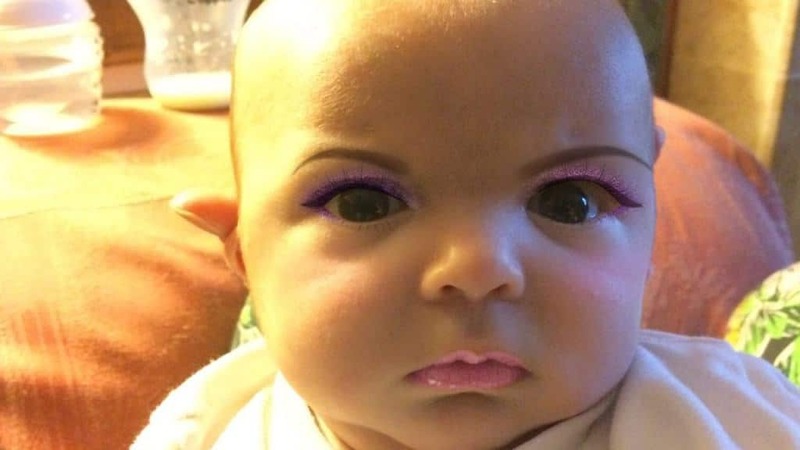 Well, this newborn baby has just about had it! I Have A Big Brother! This child has received both a smaller and a bigger brother at once! 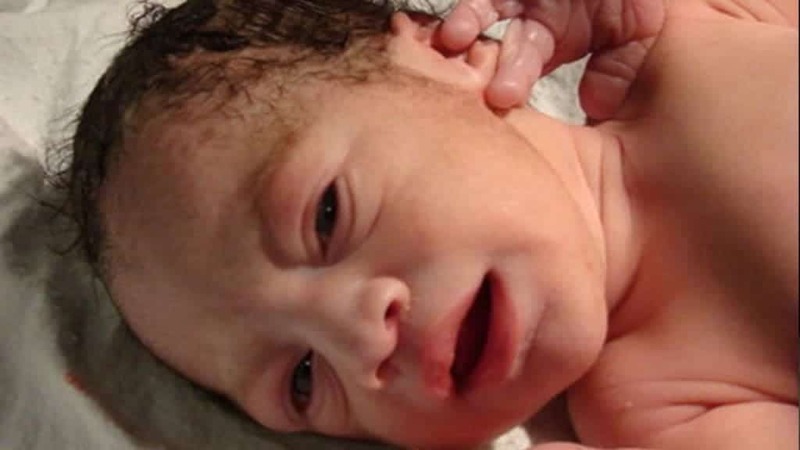 And the gigantic happy newborn is just adorable! Let Me Out Of This Bag! From adorable to weird the internet has it all. 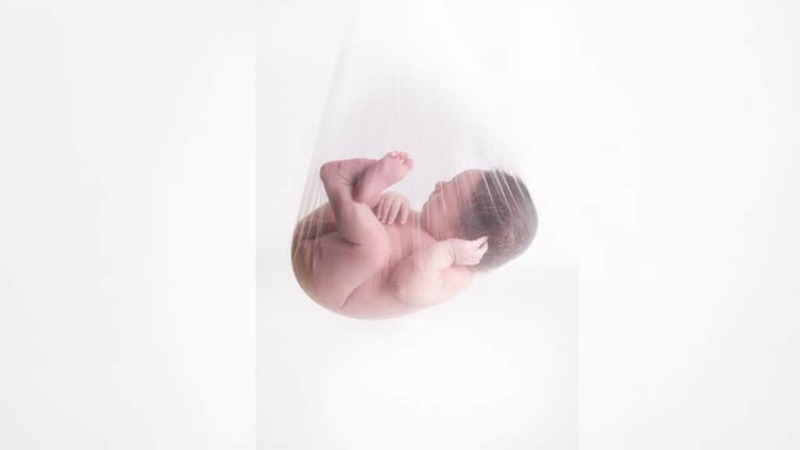 This photo of a newborn baby in a nylon bag, just goes to show that the abstract sense of photographers is sometimes just wrong. 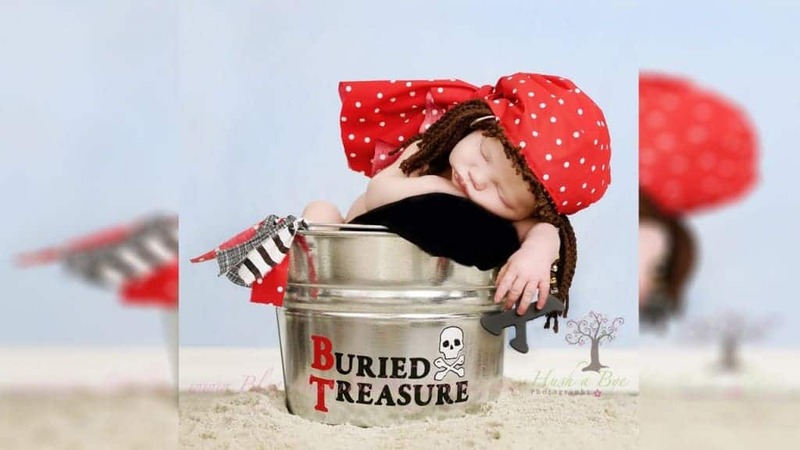 Following the footsteps of Jack Sparrow, this little baby is set to being a pirate from the moment it is born. However, it is still too sleepy and tired to go on a quest for buried treasure. Every baby has a favorite plush toy, and this one has its for a reason – it’s always protecting it, even when it sleeps! With a wreath of flowers on her head, this little newborn baby girl is a true goddess from her first moments on this earth! 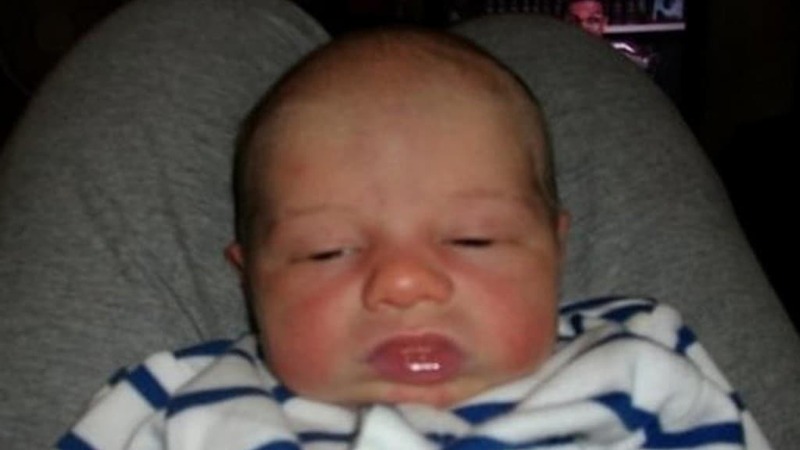 This photo, from the first moments of this baby’s life, is the prefect summation of what we all imagine newborns to be like – cranky and crying. We can’t help but sympathize with this little guy. His expression of being too tired and too lazy to do anything, we all look like him when we are binge watching Netflix after work. Don’t Take A Picture Now! Irritated, this little child is both confused at the camera in front of him and hating it. Just put off that camera mom, don’t take a picture — just take care of me! 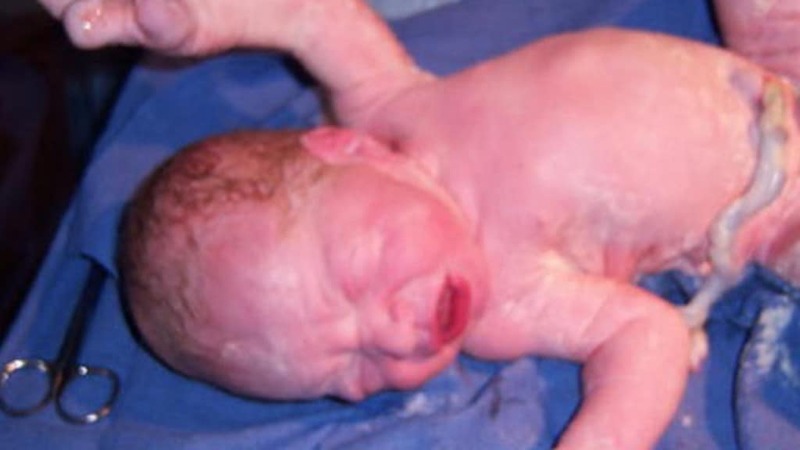 Another picture of a baby being born is the perfect definition of what we think about birth – the most beautiful thing in life, and it the same time – slimy, loud and just weird. What should a mother do when she’s bored with her newborn? Put some artificial makeup on it! 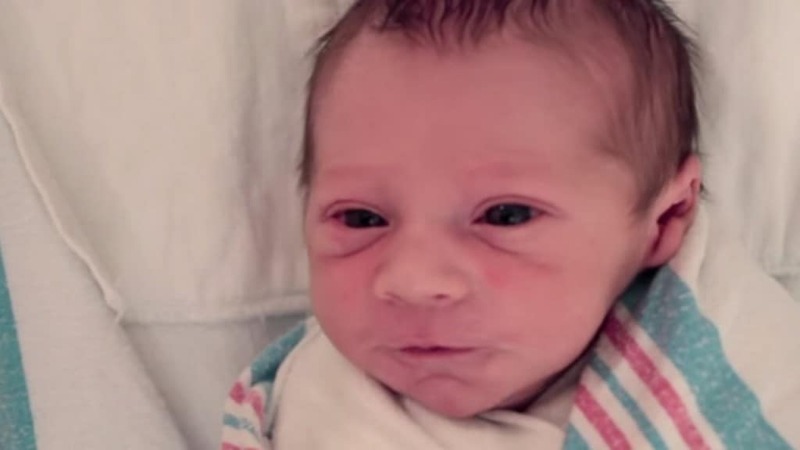 This mother used an iPhone app to make her baby boy that much more beatiful. The Spirits Are Saying My Name! 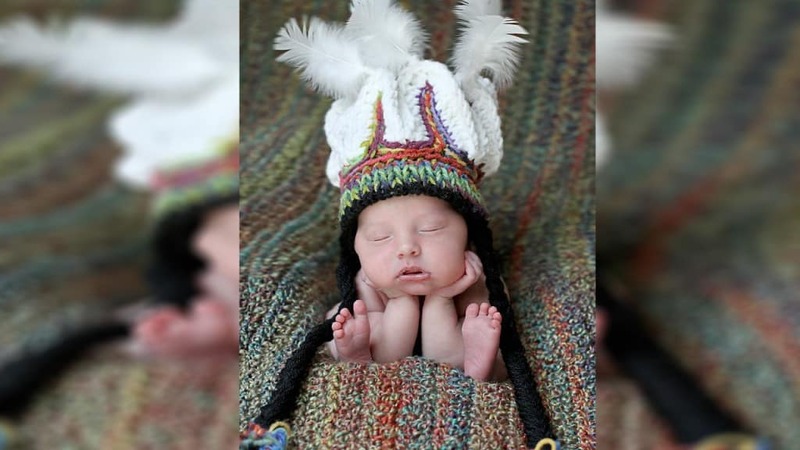 Embracing its native roots, this baby is looking like a true shamanic priest! Is it currently with contact with a higher entitiy? We can’t help but ponder what the story behind this picture is, but one thing is certain, both are looking disgusted by one another! 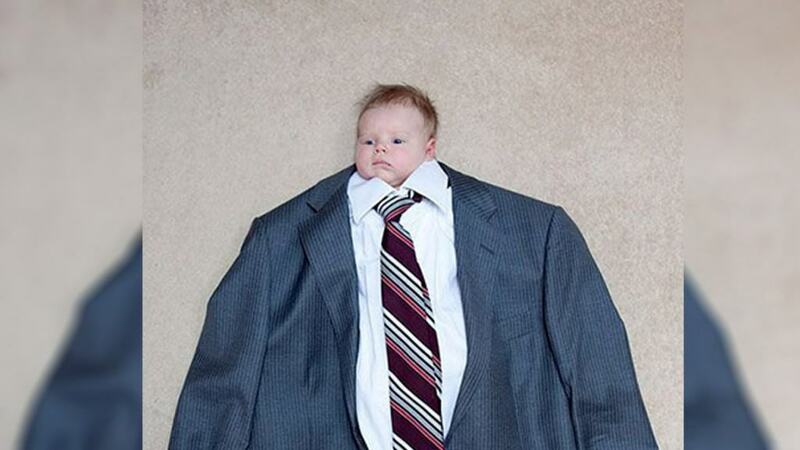 Taking a CV picture early in life, this little newborn knows that in order to be successful you just have to Suit Up! 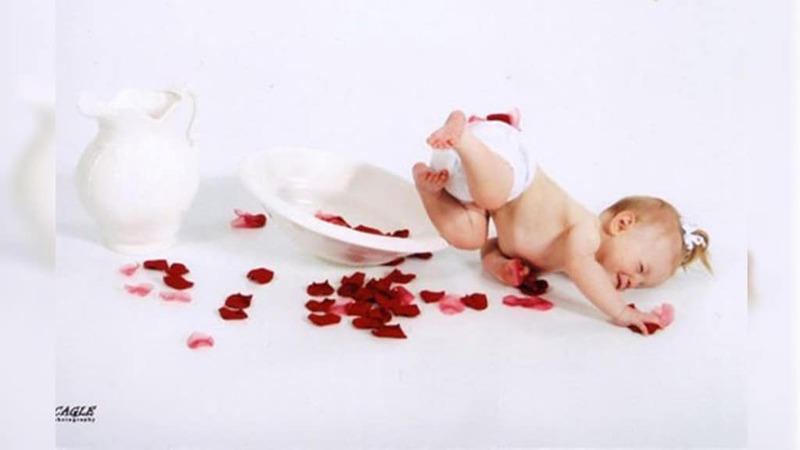 The parents had a wonderful idea for a photo-shoot of their newborn. However, the baby was just too clumsy to stay in the basket. 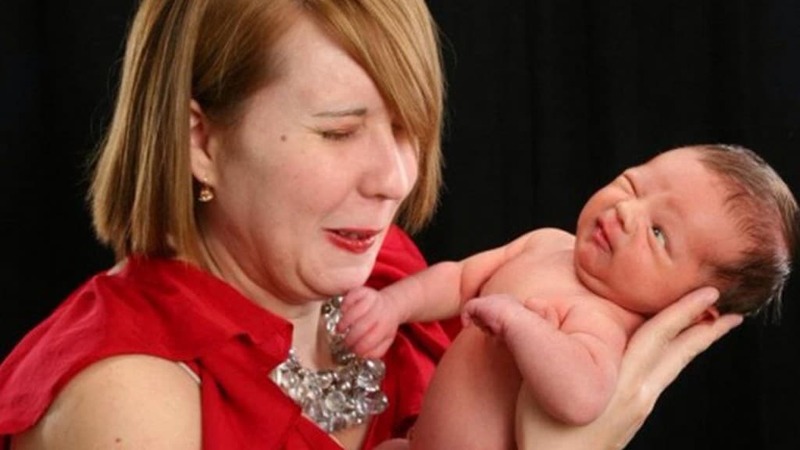 Guess these two women got in a fight over who will hold the baby in the photo. Wouldn’t it be easier if they just took two photos? Well, too late now, this funny picture is already online!